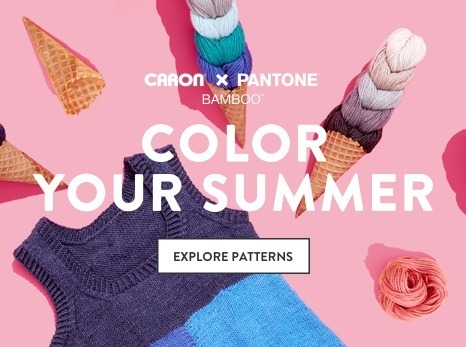 New Caron® x Pantone® Bamboo™ blend is the perfect yarn for spring and summer garments. Silky in feel, it’s fine enough for summer garments yet thick enough to work up quickly, giving knitted + crocheted fabric a beautiful drape. 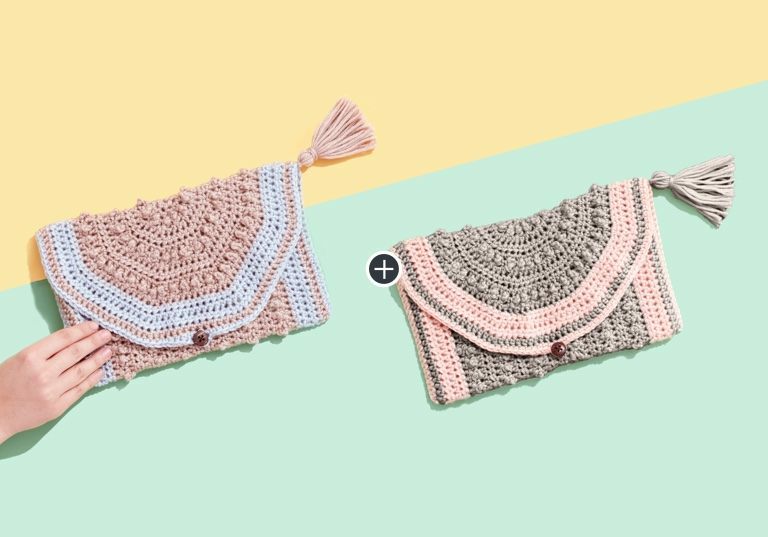 This trendy tasseled clutch is fun to crochet and waiting to carry your phone and makeup on an ice-cream outing with friends. 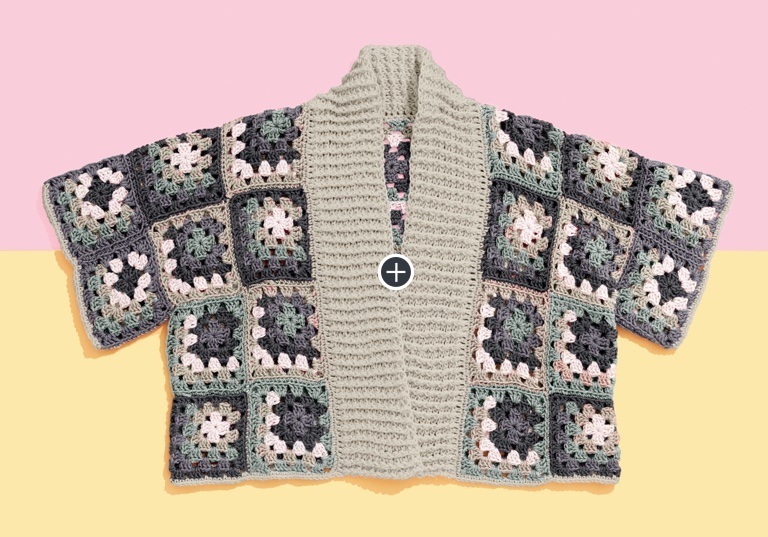 Add a dramatic Japanese flare to any outfit, with this innovative, fun take on the traditional granny square. This open-work knit stitch makes this V-neck sweater perfect for fresh spring days and cool summer evenings. 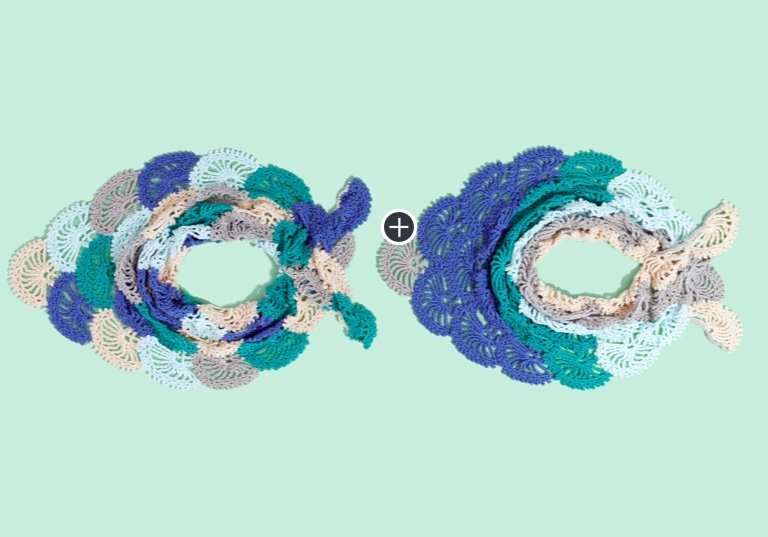 This lacy leaf inspired stitch makes this pretty tank a wardrobe staple for summer. 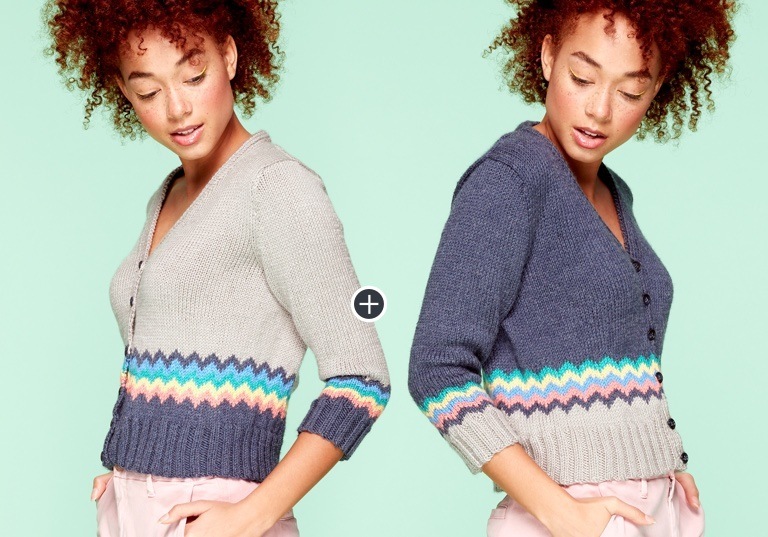 Add warmth and whimsy to any outfit with this cropped rainbow ripple cardigan. 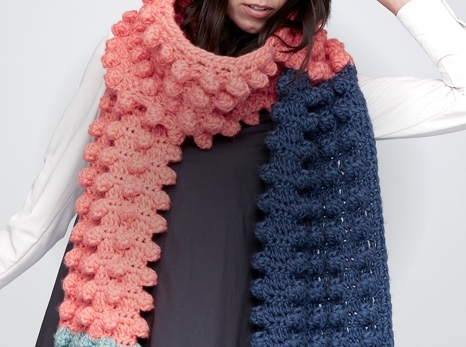 Any way you stripe it you'll be turning heads with this sensational knit shawl. 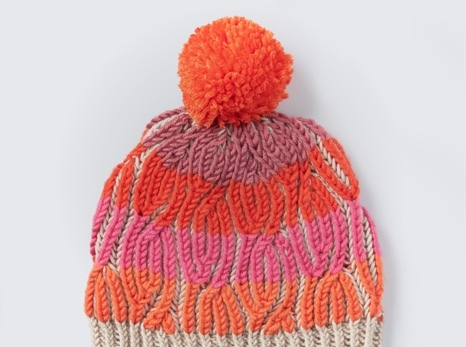 Go for an ombre effect or a full striped look with this flowing knit wrap. 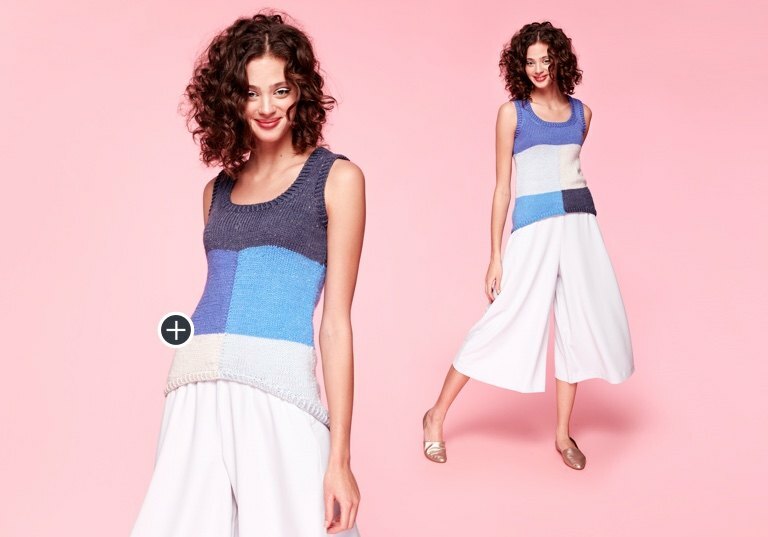 This casual yet sophisticated tank top is likely to become your favorite go-to for the summer months. 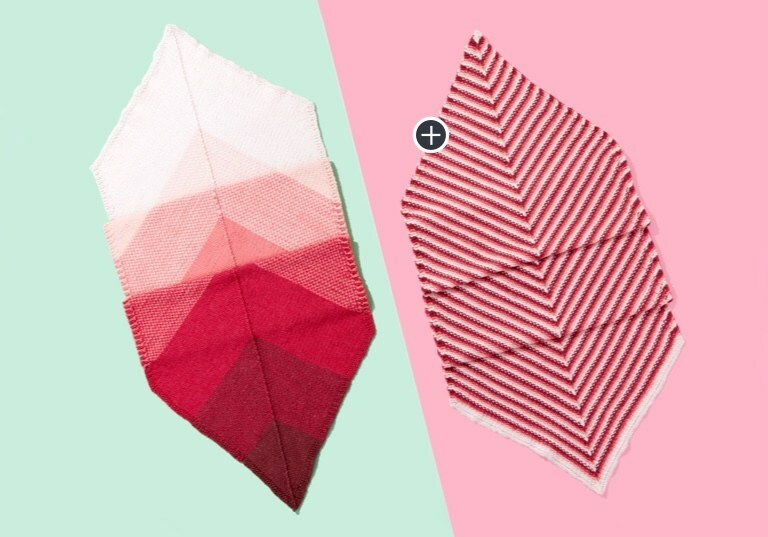 Try a soft, openworked shawl, designed using Caron x Pantone Bamboo. 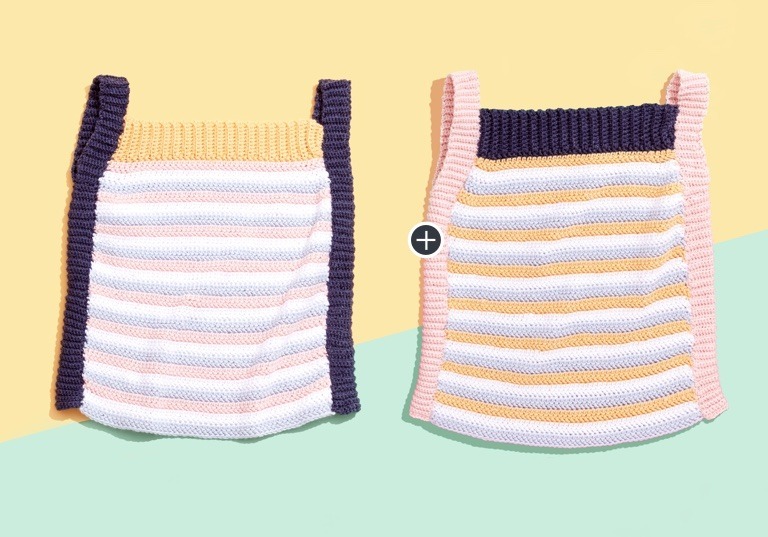 A colour blocked tank is the perfect statement piece for summer. 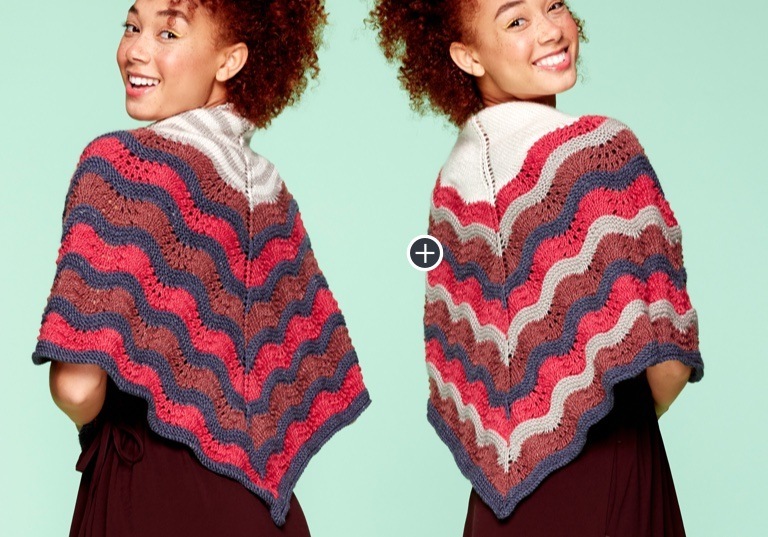 A lacy, graphic pattern makes up this stunning crochet shawl.